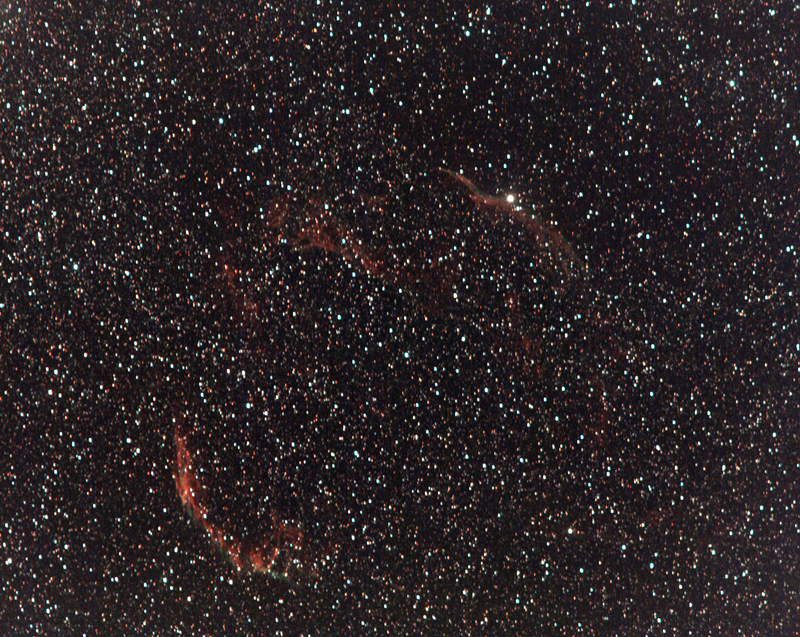 These 2 Nebula are located very Close to alpha Cygni (Deneb) the most famous star in the constellation Cygnus. These two objects span some 3.7 degrees of sky and in dark sky regions can be easily seen using a good pair of Binoculars as a blurry smudge. 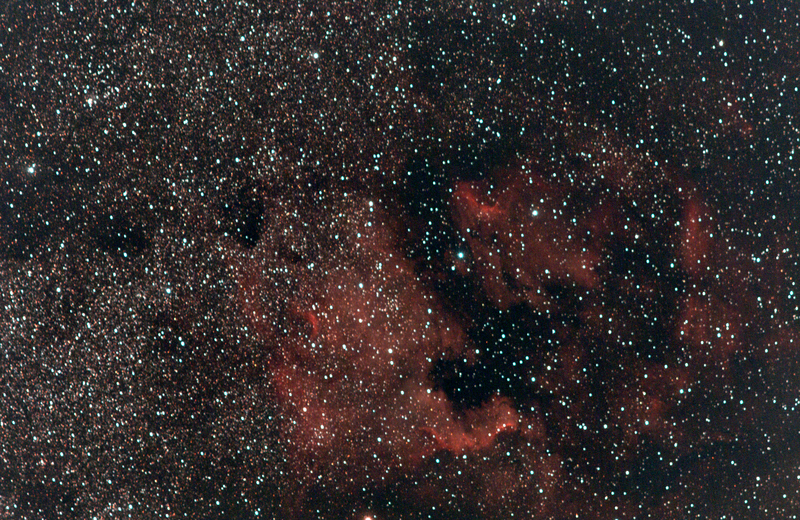 This image comprises of 11 x 5 minute Subs processed + Flat, Dark and Bias Frames and calibrated with DSS all taken using my Modded 350D and Astrotrac. 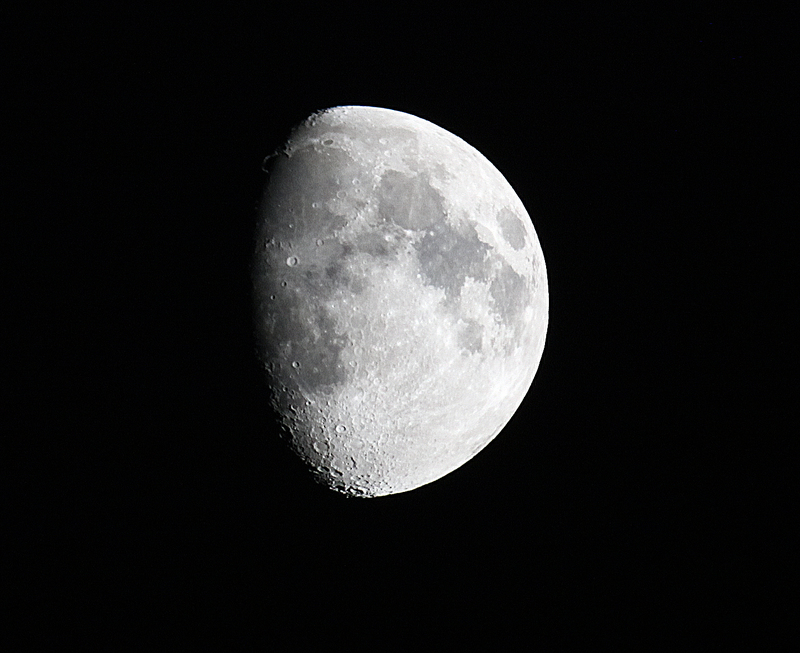 The lens used for this image was an old modified Sigma 210mm APO Zoom Lens. 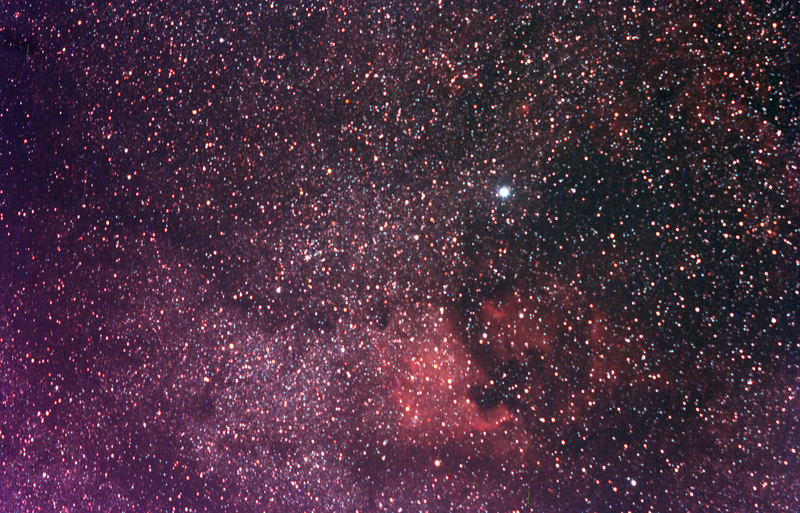 This entry was posted in Digital Imaging and tagged 350D, Astrotrac, IC5070, Manfrotto, Modified, Nebula, NGC7000, Southampton, Woolston. Bookmark the permalink.